Nationwide Life Insurance Co., and its affiliate, Nationwide Financial Services Inc., signed off on the preliminary deal late last week, according to court documents. On top of the money, Nationwide agreed to several other points that will change how it and, most likely, other service providers disclose their revenue agreements with mutual funds going forward. Nationwide – the third-largest writer of 401(k) contracts in the nation – will be required to provide extensive fee and expense disclosure forms for all of its group and individual variable annuity contracts through plan sponsors’ websites. It also agreed to enhance its notification procedures in the event a fund is added or removed from an annuity. Filed in August of 2001 in federal court in Connecticut, the plaintiffs, who were trustees of five employer-sponsored defined contribution plans, alleged Nationwide’s revenue-sharing agreements with third-party, non-propriety mutual fund companies resulted in losses to the plans and breaches of Nationwide’s fiduciary duties under ERISA. The plaintiffs – led by Flyte Tool& Die, a plastic molding company in Bridgeport, Connecticut – claimed Nationwide used outside mutual funds with high management fees so that it could maximize the “undisclosed kickbacks” it received. Participant contributions and employer matches were invested in one of two variable annuity accounts with Nationwide that held assets from multiple plans. The trusts were largely made up of mutual funds. Plans and participants chose which mutual funds to invest in from a selection of funds offered by Nationwide. According to court documents, in the early to mid-1990s, Nationwide began arranging revenue-sharing agreements with mutual fund companies. 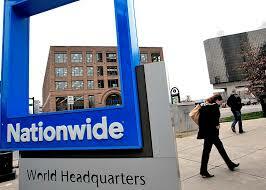 Nationwide’s contention was that the revenue-sharing, or “service contract payments,” paid for “services” Nationwide provided to the funds they implemented. But the plaintiffs claimed that those payments to Nationwide from mutual fund companies constituted plan assets and were retained in violation of ERISA. The plaintiffs also argued the arrangements violated ERISA because the fund companies effectively paid Nationwide a percentage of the plans’ investments in exchange for Nationwide offering their funds. “In other words, the trustees contend that Nationwide engages in a quid pro quo arrangement with the mutual funds, agreeing to include their funds as investment options for the plans in exchange for the revenue-sharing payments,” wrote U.S. District Judge Stefan Underhill in a factual background of the case. The case involved a procedural maze of plaintiffs’ amended complaints, motions to dismiss, and two appeals by Nationwide before the 2nd Circuit Court of Appeals challenging the lower court’s certification of the class. The plaintiffs claimed that Nationwide’s revenue payments were subject to ERISA because Nationwide acted as fiduciaries in that it selected investment options for plan investment menus and reserved a “unilateral” right to replace investment options. The case was scheduled to go to trial in February. A judge must sign off on the settlement. The lawyers for the plaintiffs will get 35 percent of the money, plus $2 million more. The settlement, according to the Fiduciary Matters blog, is nearly 10 times greater than recent settlements against ING and MassMutual.